I always appreciate an interesting design concept when it comes to handbags. 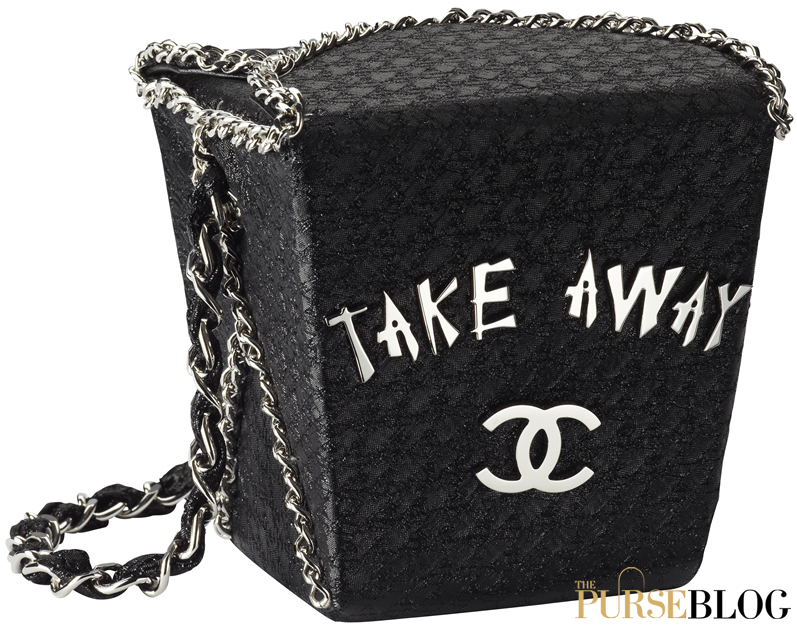 And that is precisely what you get from the Chanel Take Away Box Bag, a mixture of culture and whimsical fun with one of the bags from the Chanel Shanghai accessories collection. Clearly inspired by Chinese take-away boxes, this handbag is made with metallic fabric and finished off with a classic leather and metal chain strap. For Chanel bags, this is a very different look. I picture it perfectly on Carrie Bradshaw. While this isn’t the exact bag I would purchase, I completely appreciate the design and idea behind it. But after inquiring I found out the bag is sold out. Price was $7,500 (info via Chanel). What do you think of the Chanel Take Away Box Bag?